How to install the CUDA repository package on Fedora 29. 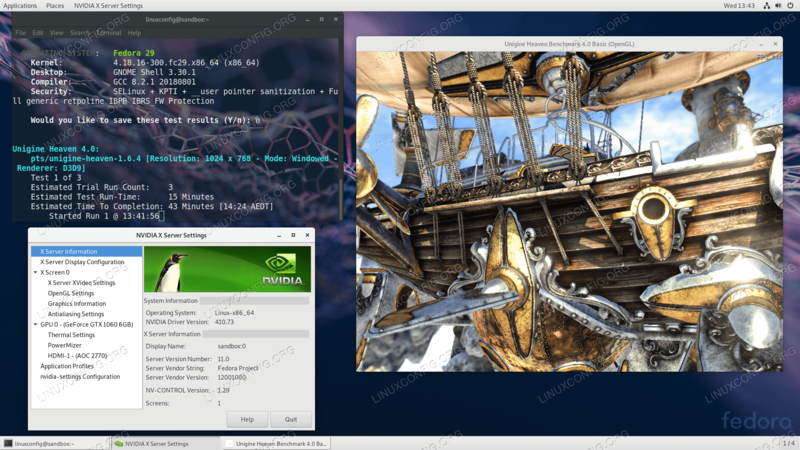 How to select and install a CUDA meta package on Fedora 29. 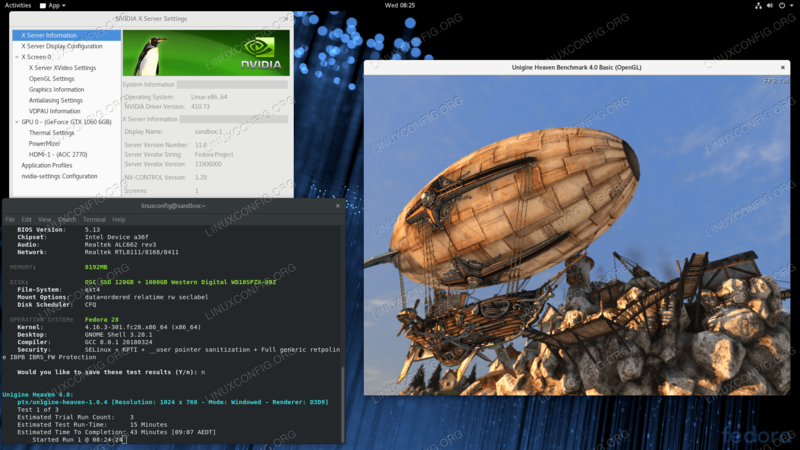 In this article you will learn how to install NVIDIA Drivers on Fedora 29 Linux. We will start by disabling the default nouveau opensource NVIDIA Drivers and then provide step by step instructions on how to successfully install the official NVIDIA Driver on Fedora 29. The following article will guide you through the upgrade process of Fedora 28 workstation to Fedora 29. There are multiple ways on how to perform the Fedora upgrade. 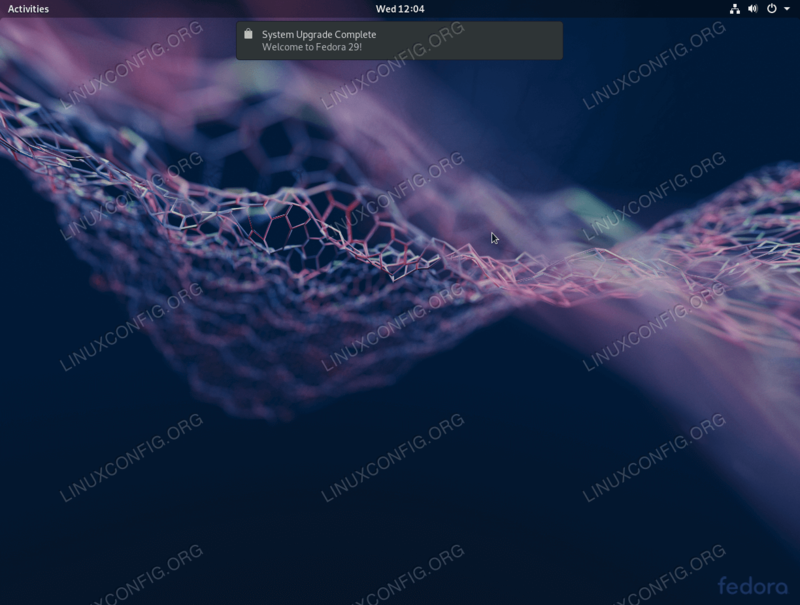 This article will explain how to upgrade to Fedora 29 via graphical user interface as well as how to use the dnf command to perform the Fedora upgrade via the Linux command line. How to update the package index repository on Fedora 28 via GUI. 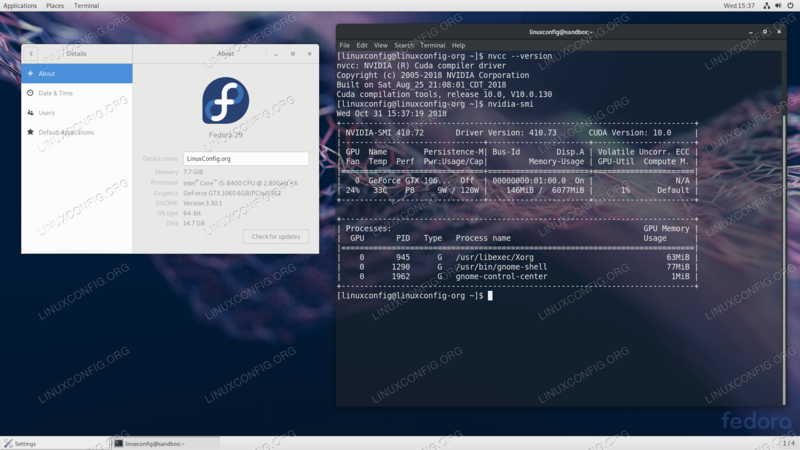 How to download Fedora 29 via GUI. How to install Fedora 29 via GUI. How to upgrade Fedora via the Linux command line.